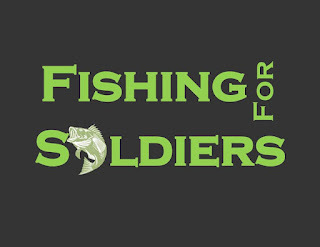 This past Saturday I competed in the Fishing for Soldiers tournament held on Fort Loudon reservoir. It is a great event held every year to raise money for disabled veterans. For the last two years, the money raised has been donated to Smoky Mountain Service Dogs. This is a local charity that raises service dogs to assist veterans in need. In 2016, enough money was raised to feed their dogs for an entire year. This year, $4000.00 was raised. That is a huge amount of money for this organization and is a testament to the hard work that is put in by Jason McCormick who organizes the event. Personally, I am not much of a bass fisherman but this is the one event I have circled on my calendar. As great as this event is for the charity, it is even better for the fishermen competing in it. 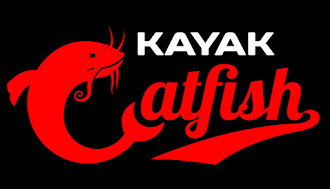 Jason has acquired numerous sponsors who donate great prizes every year. 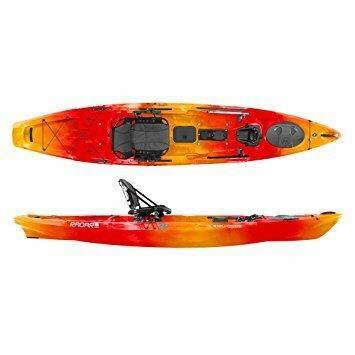 First place in the kayak division gets a brand new kayak. This year, River Sports donated a Wilderness Systems Radar Pedal Drive kayak. Regardless of what place you finish, nobody leaves empty handed. There are always lots of prizes given away at the captain's meeting and after the tournament. Many more items were raffled off as well. My strategy for this tournament was very simple. I decided to throw a jig and gulp minnow all day long and live or die by it. I focused on fishing points and the rocky shorelines adjacent to them. Catching fish wasn't a problem as I caught fish all day long. My issue was finding fish big enough to meet the 12" minimum requirement. 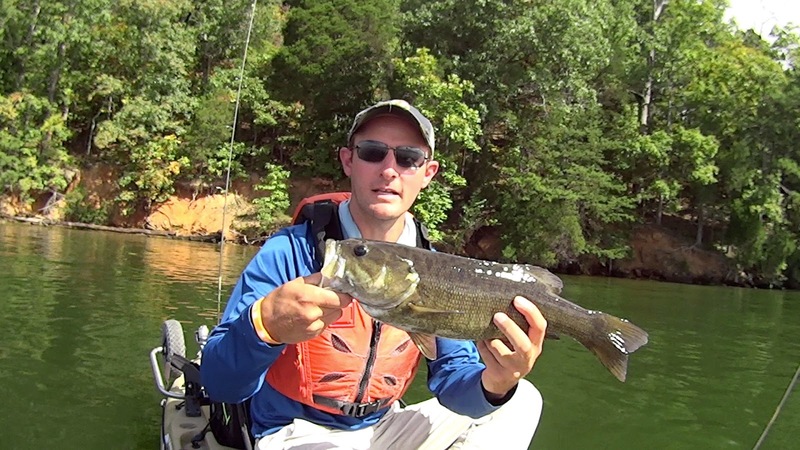 Finally about 12:30, I hooked into a nice smallmouth bass. It made a couple big jumps and then wrapped me around a tree branch. I thought I had lost it but thankfully, it popped loose and I was able to land it. 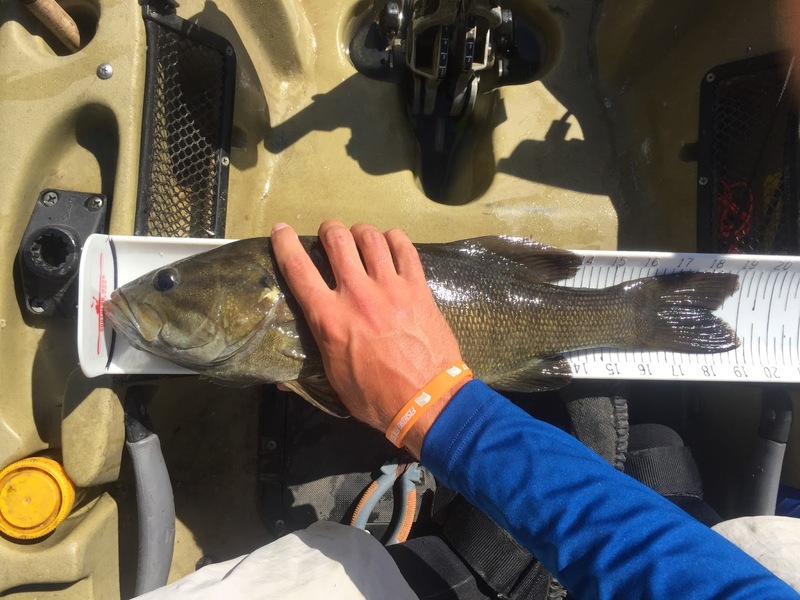 The fish ended up measuring 19". This fish was my only real excitement for the day as I wasn't able to land another keeper in the tournament. Even though I didn't do as well as I had hoped, I still had a great time fishing in this tournament. It is very well organized and the proceeds go to a great cause. I will definitely be back to compete in it again next year. 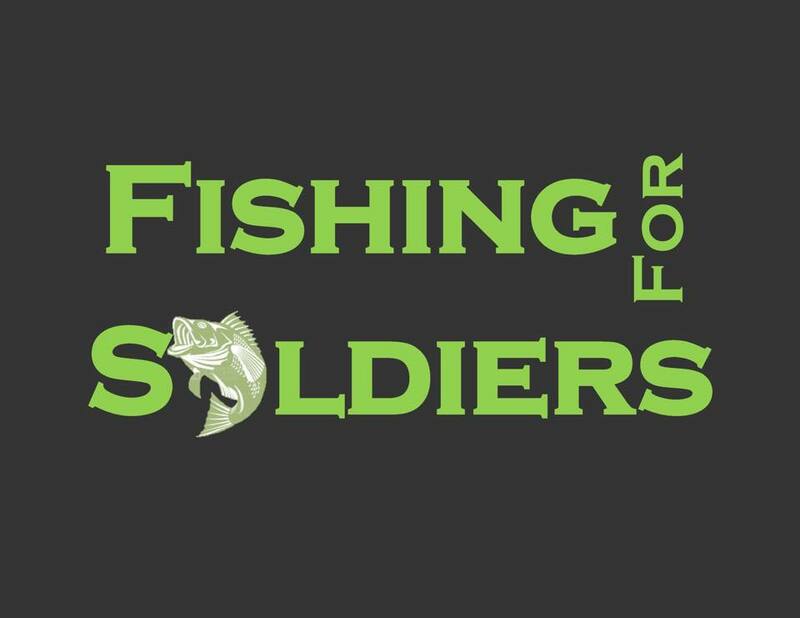 For more information about Fishing for Soldiers, click here. To learn more about Smoky Mountain Service Dogs, click here.